You may have noticed that I'm racking up on posts about my daughter's room. That's because I'm doing a little mini makeover in there. We are getting rid of the yellow and adding pink because I she loves pink. It's girly and fun and I've just been itching to change things up in there. Because most of the elements in her room were neutral to begin with, I'm not having to change much. For instance, this little DIY project cost me next to nothing. My mom gave me the frame. It was red and black so I updated it to coordinate. I painted the mat flower girl by valspar. Then, I thought the frame needed something fun. So, I pulled together my new favorite combination, gold and glitter. 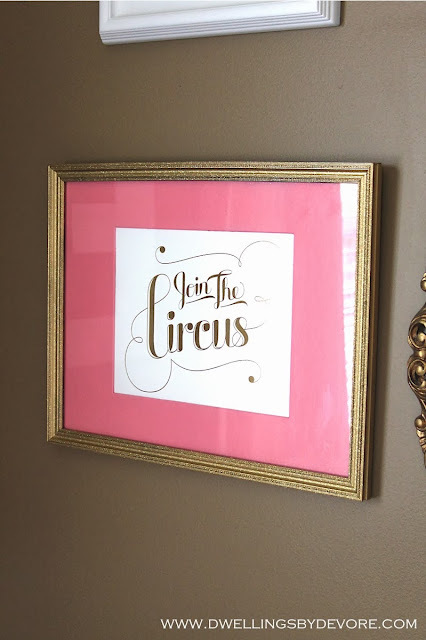 I added my Kate Spade print that I scored for a few dollars. 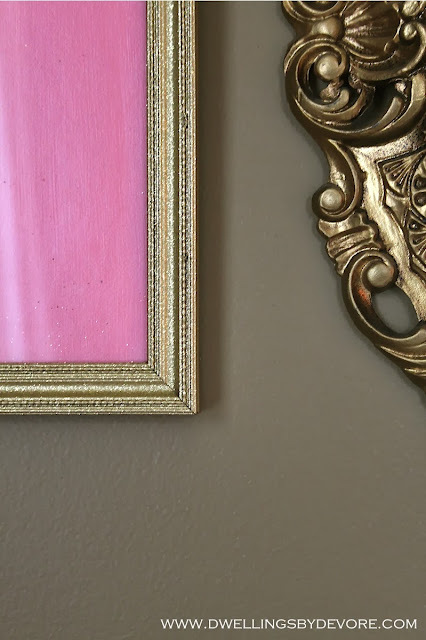 The pink mat, gold, and glitter bring life to an otherwise boring frame. If you are looking for a similar gold foil print, there are lots to choose from on Etsy. I particularly like these. Oh that print. I have been looking for one at HomeGoods ever since I saw your but no luck. I love the gold glitter too. And the octopus print is so cool too. 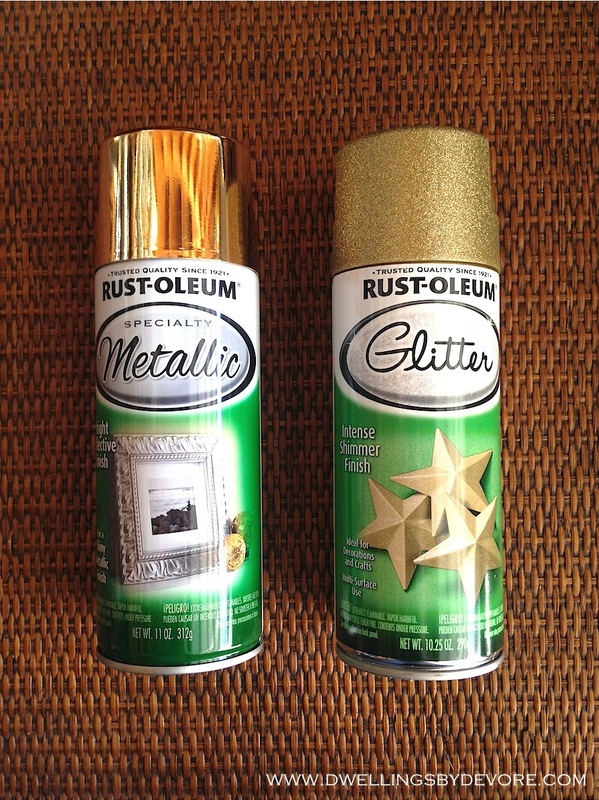 Ooh I didn't know there was such a thing as glitter spray paint!! My wheels are turning! how fun is that!!! love it and the glitter is awesome! 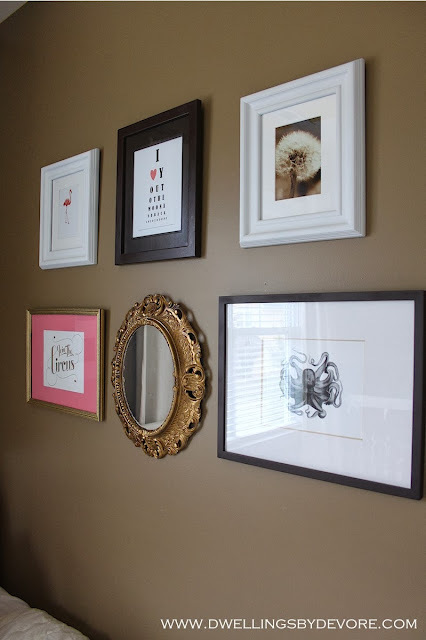 Pretty and easy, my kind of project! Thanks for sharing! They make glitter spray paint?! Oh the possibilities! Nothing better than gold AND glitter!! !